Learn the traditional way of weaving using bemban, rotan or mengkuang, from crafts maker Rose Belarek. Weaving is an integral skill within the Sarawak indigenous community, made from resources found in the Jungle of Sarawak. They are shaped to be functional, with items such as baskets, mats, food covers and hats. Some of the commonly used raw materials in this craft are rattan, bemban, mengkuang, pandanus, bamboo and fabric. This workshop is guided by Rose Belarek, who has 30 years of experience in traditional craft making skills, such as weaving, beading and embroidery. 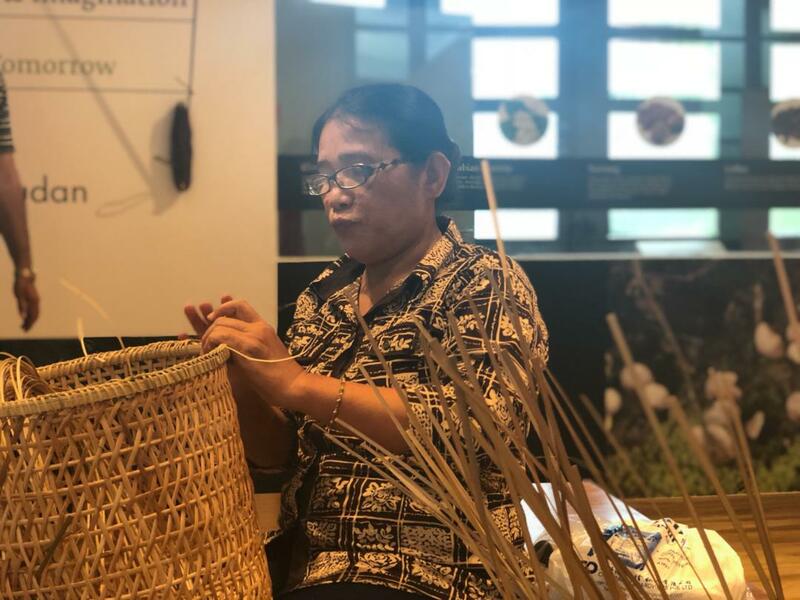 In this session, you will learn about the different materials, patterns and styles used in traditional weaving, then work on a piece of your own using either bemban, rattan or mengkuang. Learn the traditional way of weaving using bemban, rattan or mengkuang. You will be able to weave and complete an item to bring home as a souvenir!